Our startup in top-15 of the World’s largest cleantech competition! With the top 3 startups of ClimateLaunchpad Azerbaijan we competed in ClimateLaunchpad Global Grand Final 2017 to get Azerbaijan into the cleantech map of the world! Sh2ower, Catalyser, Emwaes made their pitches successfully in the semifinals and our national winner Catalyser from Azerbaijan with a pitch on efficient conversion of CO2 to Eco Fuels made it into the top 15 finalists among 105 startups from 35 countries! We witnessed 15 amazing final pitches by the finalists. 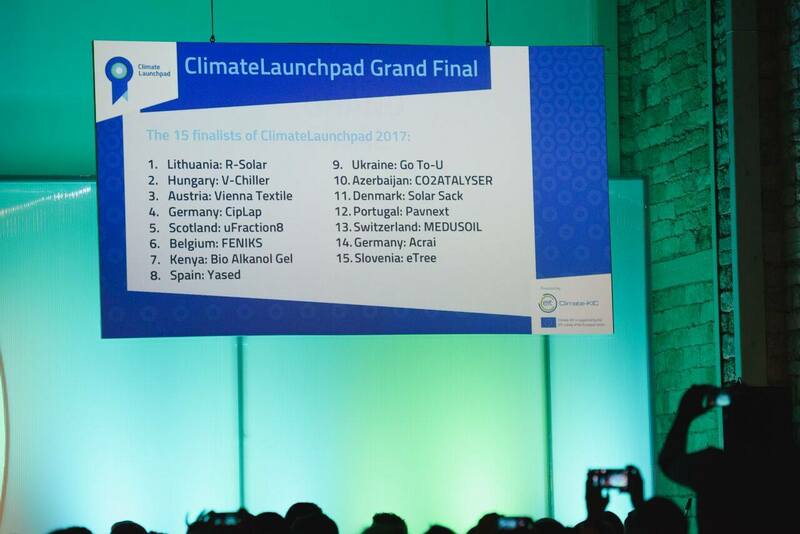 Although we could not make it into top 10 startups, we’re very proud with the great achievements by our startups in the first year of our participation in ClimateLaunchpad program! We thank you for your continuous support and share your Cleantech ideas with us for ClimateLaunchpad 2018 to represent Azerbaijan in the cleantech world! Official media partners of the program: Edumap.az and Technote! Previous: Previous post: The National Final of ClimateLaunchpad Azerbaijan 2017!